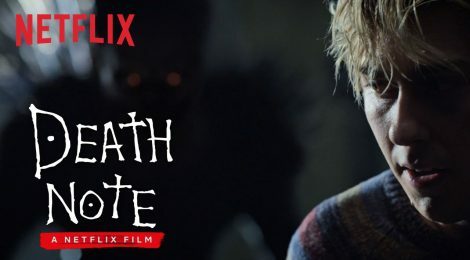 Movie Review - Death Note (Netflix) - Honk if you love justice! Oof, where to begin? I come to Netflix’s adaptation of the Death Note manga not from any sort of fandom. It’s one I was dimly aware of, but haven’t read or watched any of the anime. I was interested mostly because of the “Willem Dafoe voicing a death god” angle. Having watched it now, I don’t feel it was a complete waste of time but it wasn’t exactly a paragon of entertainment. This movie is based on the Japanese manga of the same name, and when you take media from another culture and adapt it, you’ve got to be extra careful. I’m not against adaptations like that, some great material has come about from doing just that. However, there has to be a reason you made that move. There’s a great example in the Hollywood Reporter story about Death Note by Rebecca Sun. The Departed may be a remake of Infernal Affairs, but the cultural differences are a tool used in the story. It’s different because of who it’s about. Here, they made Light white but it doesn’t matter to the story. Beyond seeing the Space Needle, there’s no way to tell this is even an American city, let alone Seattle. If you’re going to change the culture the movie is steeped in, make it matter. For the movie itself, there were a few good performances mixed with some not-so-good. I liked Lakeith Stanfield as L, and Shea Whigham fills the cop-dad role well. And yeah, Willem Dafoe, awesome. Unfortunately, Nat Wolff and Margaret Qualley as Light and Mia fail to carry the movie. Uneven performances combined with odd directing choices (see below) means you end up laughing at a scene that was not supposed to be funny a few too many times. Yikes. Light is supposed to be a genius, but beyond a little cleverness with the ending, it’s mostly lip service. Mia is annoying as heck, and I definitely don’t see why this guy would want her to stick around. Is it the worst thing on Netflix? No, they keep letting Adam Sandler make movies. But I’d have to get pretty far down the my list to think about re-watching, which is not a good sign (I re-watch stuff all the time despite the list). Maybe just read the manga or watch the anime instead (which you can currently see on Netflix also).